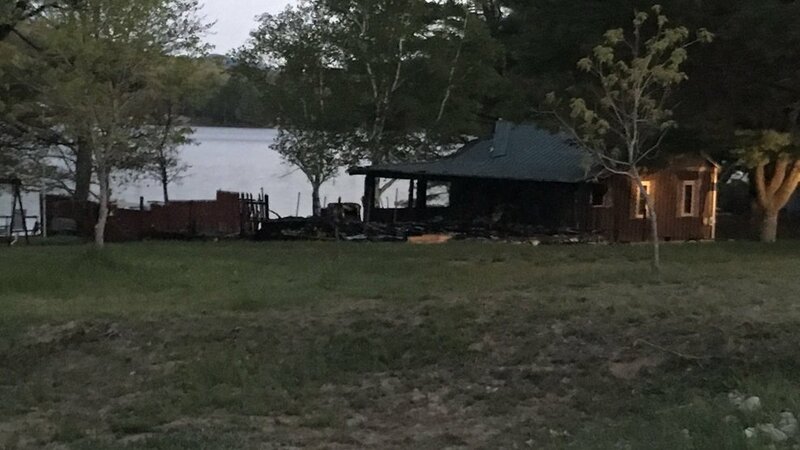 LIVERMORE (WGME) — Firefighters from several towns were called in for a fire that destroyed one camp and damaged another in the Town of Livermore early Friday morning. The fire was on Keith Street. Livermore firefighters say it started in one of the camps around 2:45 a.m. and then spread to the second building. One of the department’s firefighters lives nearby and called in the fire. Eight towns responded for mutual aid. The State Fire Marshal will now look into a cause. One camp was destroyed and another damaged in an early morning fire in Livermore on Friday.